Rita Banerjee will be a Visiting Artist at the New Hampshire Institute of Art this Spring, and will be reading from her debut poetry collection Echo in Four Beats at the French Hall Rotunda at NHIA from 5:30-7:30 pm on Tuesday, March 27, 2018. 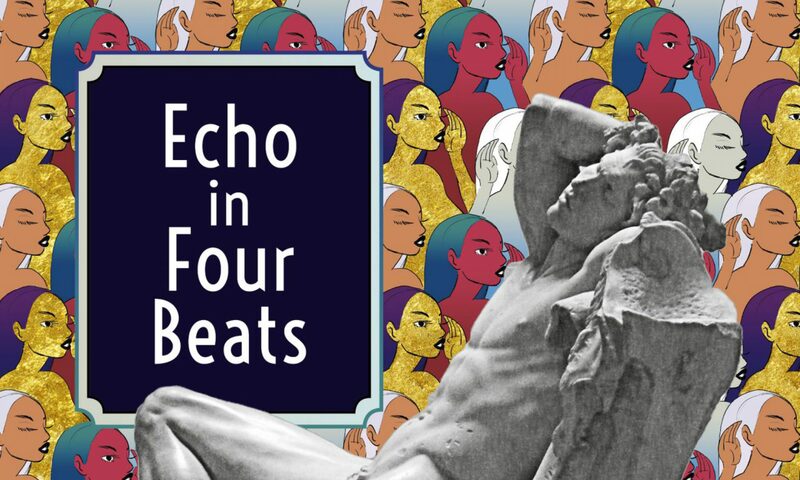 The New Hampshire Institute of Art in Manchester welcomes a special guest writer, Rita Banerjee, on Tuesday, March 27, for a reading, signing and discussion of her debut collection of poetry, Echo in Four Beats, released earlier this month. What is the idea behind Echo in Four Beats? It dreams of a common language. What happens when people from different backgrounds and places of power, with different ideas of masculinity and femininity, come together … and figure out how to connect, despite language barriers, and despite defined roles? How do they find ways to support that female agency and the female gaze? What would you like readers to take away from Echo in Four Beats? I would like readers to kind of interrogate their own power and find where and how they can express their own voice. It doesn’t have to be in proper English to express ourselves and our complicated identities in an honored form. I hope people will read [the poems] and be able to relate, but I hope it also invites response, and that they will try to express themselves in that form. And you can read “Echo Speaks” on The Hippo here.